The Most Powerful Fuel For Your Brain Your brain has the magical ability to regrow new cells over time. You can improve your thinking, your memory recall, even how your body functions and your emotions. The Most Powerful Fuel For Your Brain Your brain has the magical ability to regrow new cells over time. You can improve your thinking, your memory recall, even how your body functions and your emotions. But oxidants, inflammation and age slow down this process. 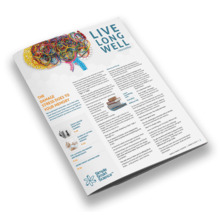 DHA, one of the Omega-3 fatty acids found in our Alpha Omega DHA, shows the most beneficial effects for brain health and inflammation reduction. It is critical to the development and function of your brain cells. It is so powerful that after just the first week you might notice your thinking is clearer, your memory recall seems faster, better. Your brain is sharp again, like when you were young. Your pride will swell again as your friends and family notice how sharp you’ve become. 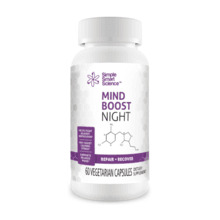 Your relief of knowing that you are giving your brain the best supplements for optimal health with show in everything you do. 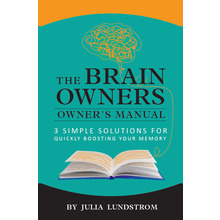 The Brain Owners Owner's Manual - 3 Simple Solutions For Quickly Boosting Your Memory - Free copy with every order. A $14.97 value.